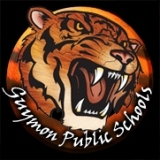 GUYMON, Okla. (AP) – Located just 20 minutes from the state lines of Texas and Kansas, the Oklahoma Panhandle community of Guymon faces competition from all sides when it comes to hiring teachers. The majority nonwhite school district also has a large number of non-English-speaking students, which Superintendent Doug Melton says adds to the challenge of attracting teachers. The Oklahoman reports (http://bit.ly/2is8S0k ) the arrival of a pork processing plant more than 20 years ago attracted a wave of immigrant workers, especially from Mexico and Central America. That demographic shift doubled the size of the school system to 3,000 students, 80 percent of whom are nonwhite. Melton says the district pays starting teachers $3,000 more than the state-required minimum, but still has difficulty competing for teachers with Texas and Kansas.